I know, its been a while since my last post. How are you doing? Isn't it wonderful to have Spring at last and the longer days and lovely sunshine? Today I wanted to write a little post about my newest house plants, because they are adorable and hopefully very easy to look after. Over the Easter weekend, its traditional for my family to get together and have a lovely meal at someone's house. This year it was my parents' turn. They've recently been doing some sorting, clearing and decorating and had got a box of things for my siblings and I to look through. 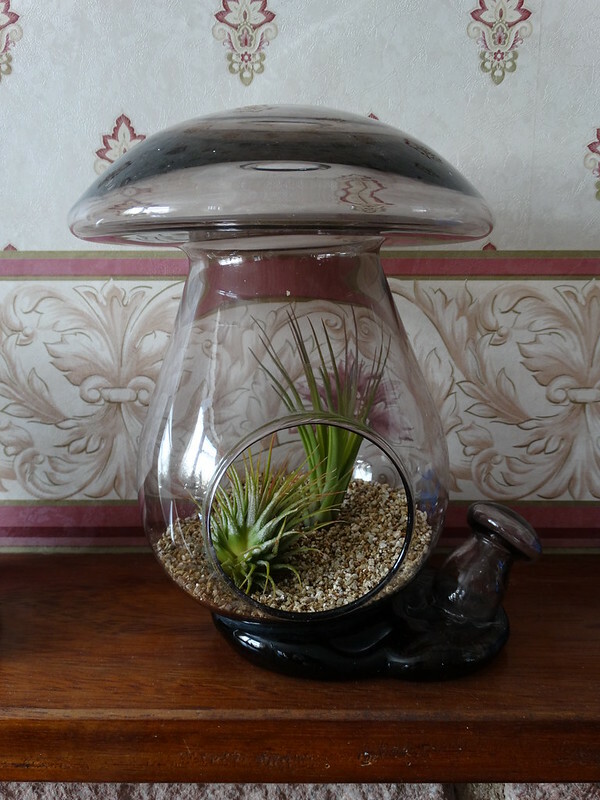 One of the things my mum was getting rid of was a beautiful terrarium, shaped like a mushroom. It was quite dirty and dusty but I suspected that I could easily do something with it and make it into something pretty. So we took it home and I got researching for some plants. 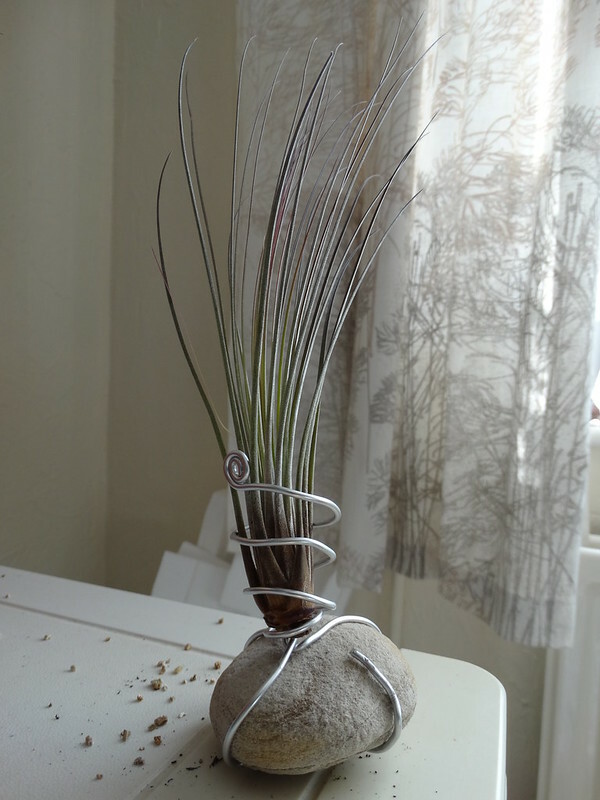 Recently, my Pinterest feed has been showing me some beautiful air plants (or Tillandsia if you want to be scientific) displayed in terrariums, on wire wrapped bases, in jam jars or just simply mounted on a shell or rock. 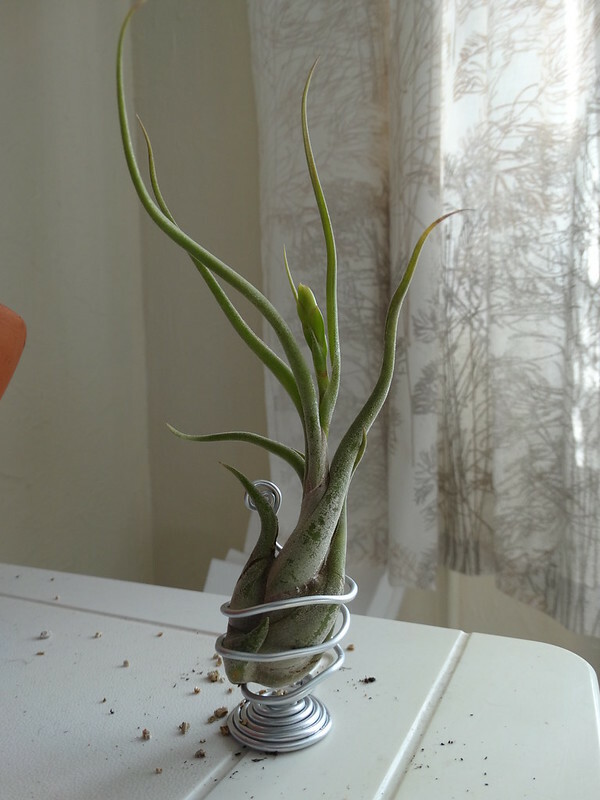 So I did some more research into air plants and discovered that yes, they wouldn't be much more maintenaince than my current house plants. Yes, they'd work in my terrarium and yes, I could get some on the internet and get them shipped straight to my door. I looked around at various companies and after weighing up costs of plants, costs of delivery and what not, I eventually settled on a company called Love Tillys. The main reason I chose them was because they had an option for a "beginners collection" with either 3, 5 or 10 plants. I opted for the 5 plant option so I had some choice as to what to put in my terrarium and to feel like I was making the most of the delivery costs. This morning, my plants arrived and I followed the instructions and dunked them in some water. I'm not going to go into the details of air plant care (as I'm definitely not an expert, these are my first ones) but the most important thing I learnt in all my research was that they aren't hard to look after, but they do need more than just air. Specifically, they need water. They come from humid environments where they grow on a host (say a tree) and gain all their nutrients from the moisture in the air around them. They don't steal anything from the host and just use their roots to hold themselves in place. I'm not going to show you what I've done with Brachycaulos Abdita as its going to be a gift but it looks very sweet in its new home. However, the other four all have permanent homes in my house. Firstly, in my lovely terrarium I placed the Ionantha and the Tricolour Malanocrater. I've made the stands so that I can still lift the plants easily out without any damage to the plant as I'd like to able to remove them to water them separately from the other plants. 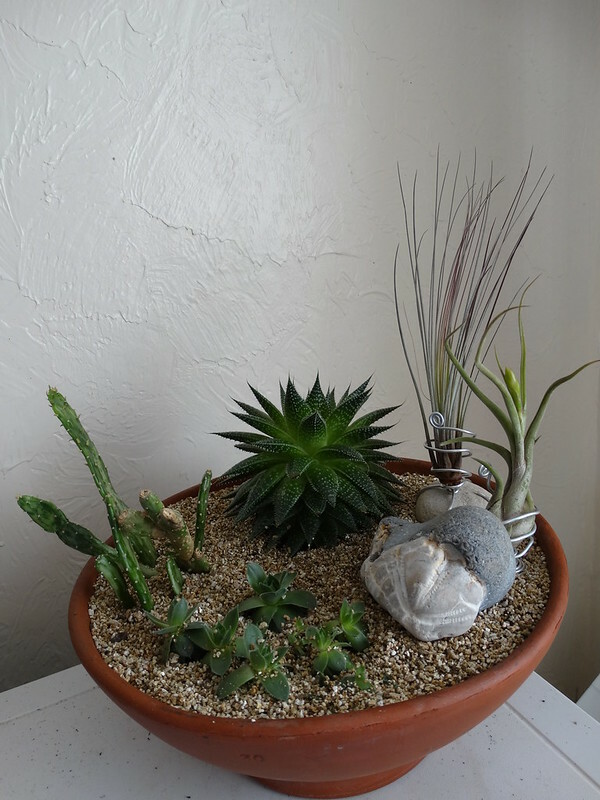 This will avoid damage to the stands and means I'm less likely to accidentally sock my cacti and succulents when they don't want it! I think these are great plants and will be lovely to have in my home. They are a current trend in planting (even my local garden centre is selling some basic air plants!) and home decorating (just check out Pinterest!) so I hope you feel inspired to investigate these lovely plants to add a pleasant tropical feel to your home!